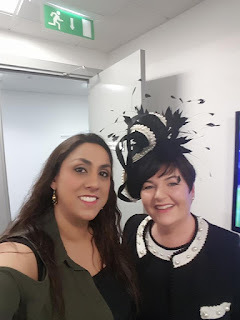 What better way to celebrate Mna na hEireann than being featured on Ireland AM alongside fabulous Designers and Milliners. I am sharing with you all the details of my experience on Ireland AM TV3 with Celebrity Stylist Marietta Doran. Its was fantastic to be invited to showcase Suzie Mahony Designs occasion style and hats. 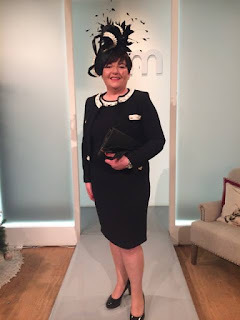 I decided to keep my look classic and elegant so I started with the beautiful Chanel Style Suit from Olivia Danielles Athlone in Black with ivory trim and pearl detail. I love this suit, it is so comfortable and easy to wear. My hat I started with the hatblock which is one I designed myself last year and I love the shape. I made my hat in black silk and then working with my own profile and style I trimmed the hat with black silk swirls, handcut black feathers to add some movement and I brought in an accent with ivory pearls all through the design. 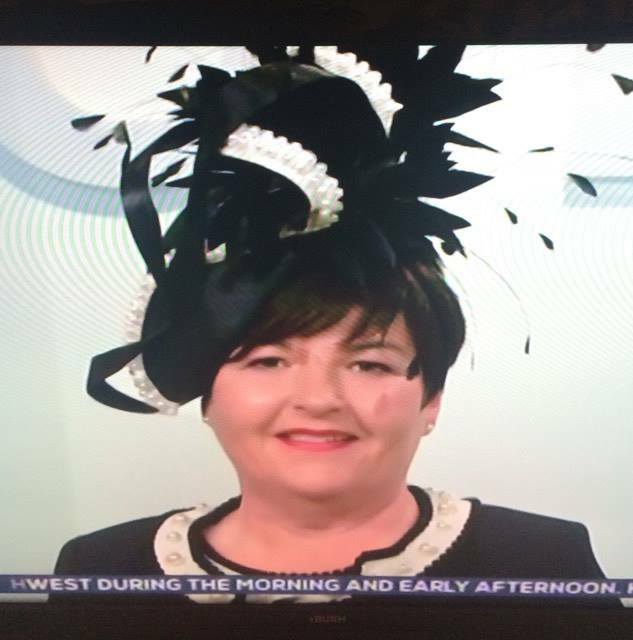 The hat is secured with elastics and very flattering. I loved wearing it. 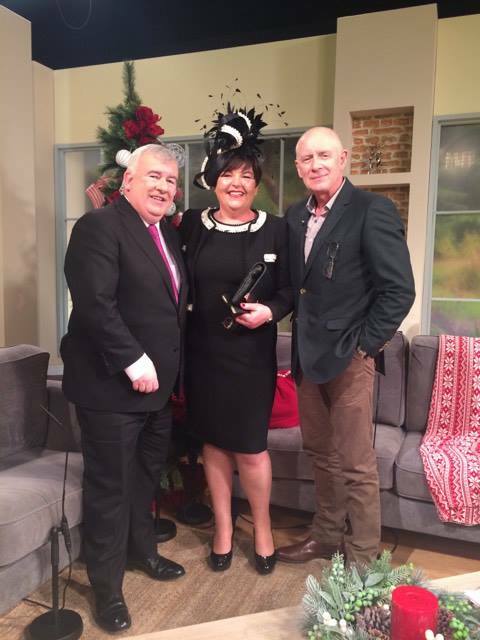 The shoes are classic black patent from Clarks range. I also added a leather black bag and gloves which I had purchased on holidays in the last few years. Staples in any wardrobe and they just finished the look for me. Of course I couldn't resist a little chat with the boys Mark Cagney and Aidan Cooney. Behind the scenes we were pampered by Sharon D Hair & Makeup Artist, you don't model on TV without a little help! !